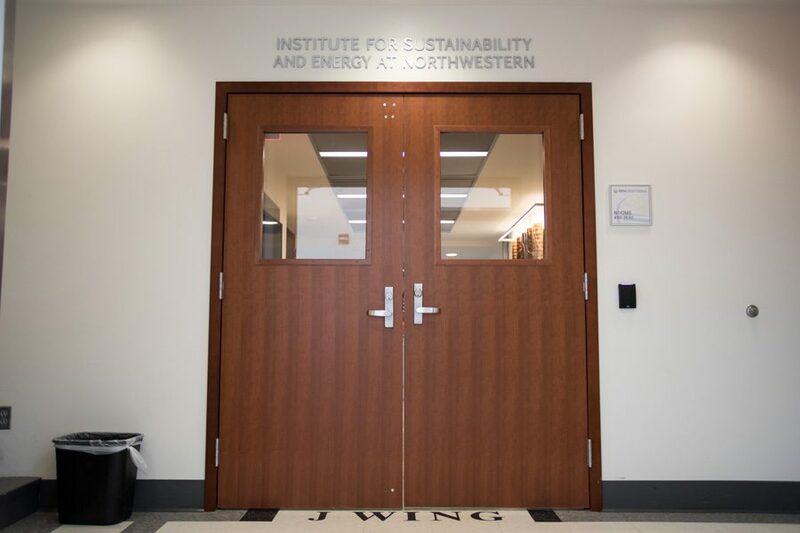 The Institute for Sustainability and Energy at Northwestern in the Technological Institute. A donation of $5.5 million from NU alumnus Jeff Ubben and his wife Laurie funded the Ubben Program for Climate and Carbon Science. A $5.5 million gift to the Institute for Sustainability and Energy at Northwestern created a program dedicated to climate change and carbon science research, the University announced Wednesday. The donation was made by NU trustee Jeff Ubben (Kellogg ’87) and his wife, Laurie. The couple has donated a total of $21.6 million to the University’s “We Will” fundraising campaign, which has raised $3.31 billion as of February. The family’s most recent gift created the Ubben Program for Climate and Carbon Science, which combines research in science and public policy to study climate change in addition to developing solutions for climate adaptation and mitigation. Earth and Planetary Sciences Prof. Brad Sageman, chair of the department, said Jeff Ubben was interested in the work ISEN and the University have been doing related to climate change. According to the program’s website, research will focus on areas such as developing climate models to better understand and predict change, finding low- and zero-carbon energy solutions and implementing policy and business solutions related to carbon emissions and climate. ISEN executive director Michael Wasielewski said the purpose of the program is to “move the ball forward” on understanding the climate’s current state, while also looking for solutions to mitigate carbon problems in the future. The first step of developing the program will be to use the funding to recruit post-doctoral researchers, Sageman said. The process of reaching out to colleagues to find promising candidates is currently underway, he said. People who have just completed their Ph.D.s are ideal because they are an “excellent engine of research,” Sageman said. The program’s unique feature is its interdisciplinary approach to addressing the issues surrounding climate change, Wasielewski said. Most science and engineering-focused programs do not also include areas of study related to public policy, law and communication, he said.